Quick Change Flexi Ring Swivels with a matt black anti glare coating. 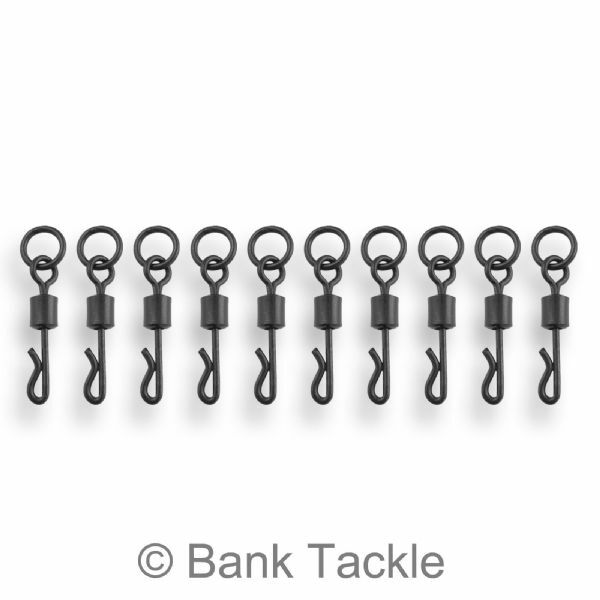 Quick Change Swivels allow fishermen to quickly and effortlessly change rigs without the need to keep re-tying knots. This means your rods can be in the water for longer, resulting in more fish in the net. The Flexi Ring allows for a more natural movement, resulting in better presentation of your rig and hook bait. 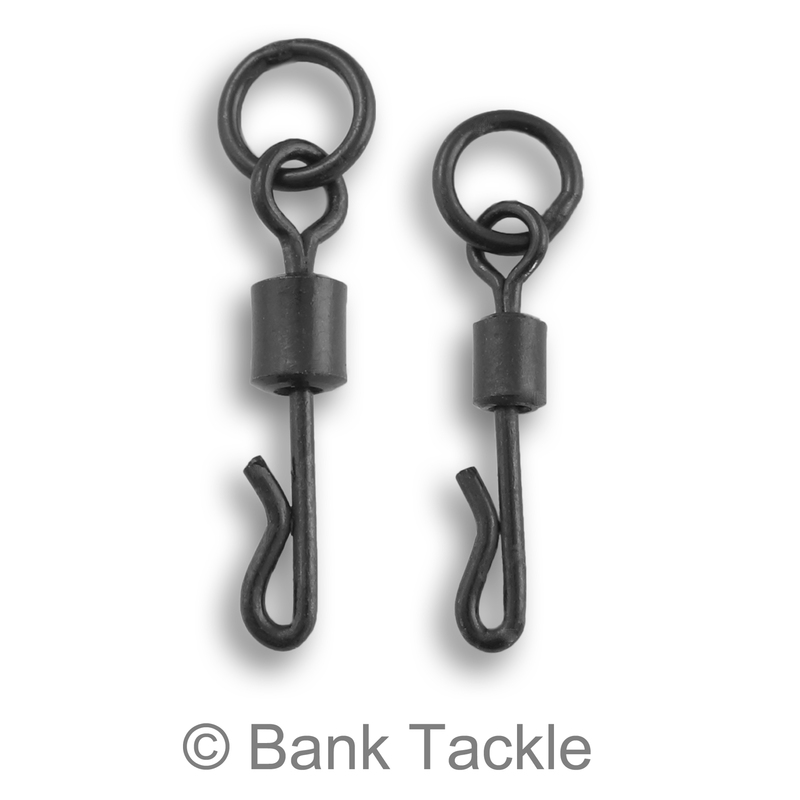 Quick Change Flexi Ring Swivels are an essential piece of Terminal Tackle for altering a standard Helicopter Rig or Chod Rig in to a quick change set up. Size 8 Quick Change Flexi Ring Swivels are a standard size and are suitable for most carping situations. 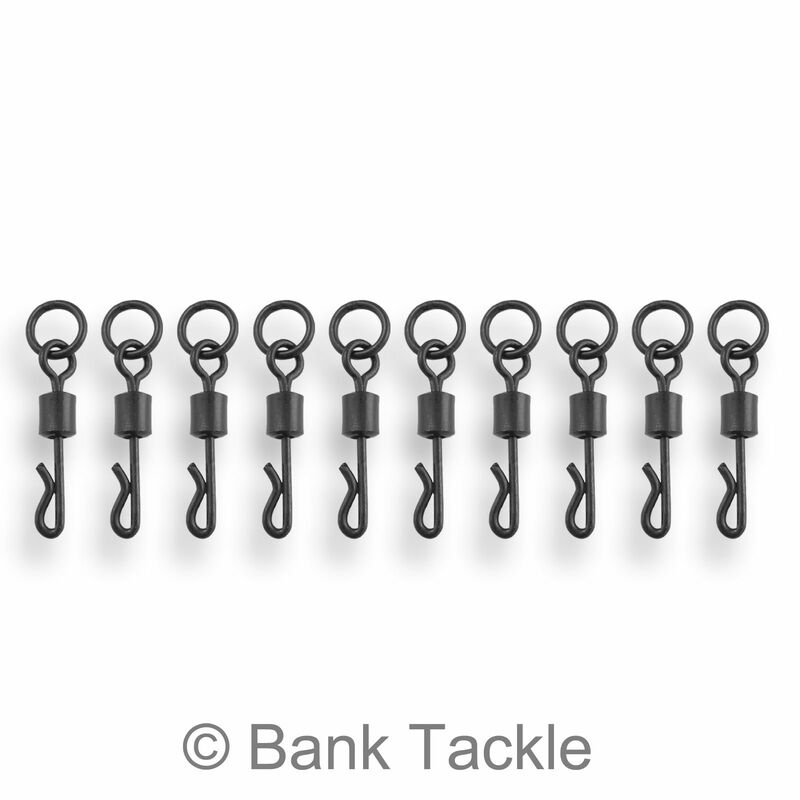 The size 11 Quick Change Flexi Ring Swivels are for those looking to scale down their end tackle in the pursuit of catching ever increasingly pressured carp.